In an effort to get ready for my holiday I’ve been on a health kick, well maybe I shouldn’t call it a kick as that makes it seem that is will only be something fleeting. It’s actually a change in my overall lifestyle, I’ll be writing about that in the next few weeks. This change to my lifestyle has also led me to take a look at my skincare too. I haven’t used many This Works products before so I was excited to give them a try. 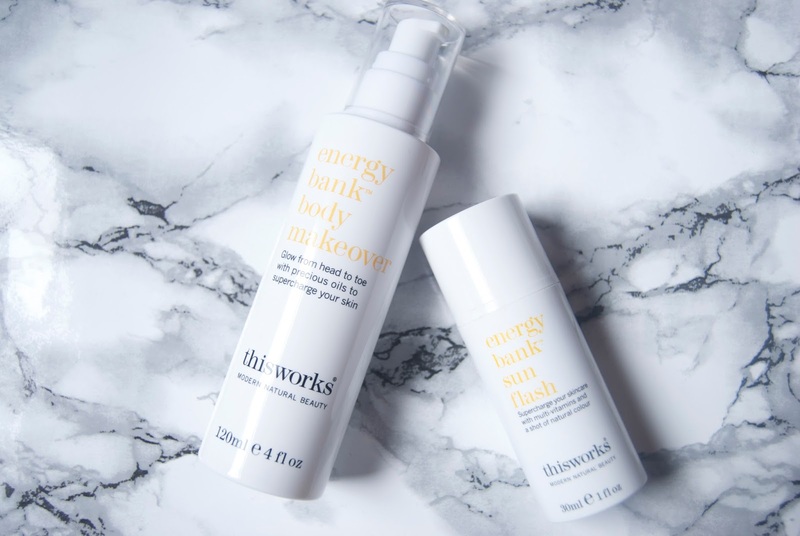 First product to try was the Energy Bank Body Makeover, this moisturiser promises to supercharge your skin. This has a blend of 16 essential oils including passion flower seed which improves skin elasticity, perfect during weight loss or even pregnancy. Rosehip Oil also helps fade skin marks so this could be the perfect antidote for stretch marks. I’ve been using this on problem areas such as my thighs and hips, it does a good job at firming these areas. 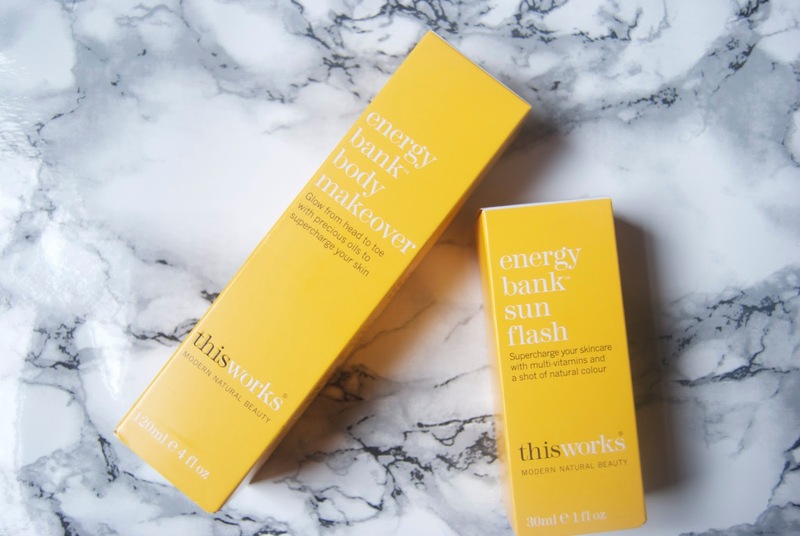 Next up we have the Energy Bank Sun Flash, which promises to bring a sun kissed glow to your skin. It comes out of the bottle looking exactly like melted caramel and actually it has caramel as one of the main ingredients. With the added blend of caffeine, vitamin c and plumping hyaluronic acid you’ve got a miracle in a bottle. Vitamin D also repairs your skin from daily wear and tear while vitamin E fights ageing. This has been adding a nice glow to my skin meaning I can go foundation free which is a big deal for me. I’m going to be taking this on holiday with me, it will help build be colour on my face. I don’t know about you but it always seems to be my face and legs that tan last. I’m definitely going to be trying more This Works products in the future – these have been working a treat for me! "What I Wore: Parklife Festival"
Don't forget to check out my giveaway featuring Toni & Guy, Yves Rocher and Topshop! Click HERE!